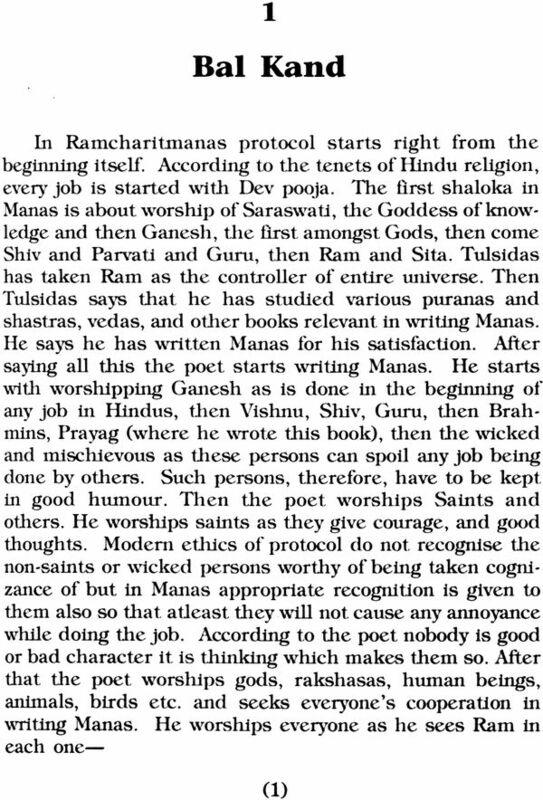 The book has been written with a view to explain the concept of protocol as available in Sri Ramcharitmanas, - Social, Political, Spiritual, and Administrative - viz, order of precedence, institution of returning officer, assigning priorities for the jobs to be done, continuity of government, a working hierarchy, relation between a raja and his praja, relation between man and God, international law and relations, laws of war, execution of international agreements, and compares it with modern concept of protocol. 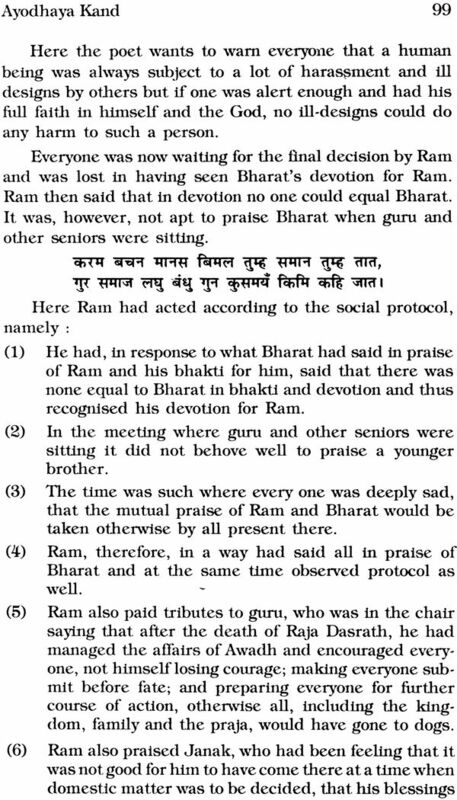 To narrate a few, the arrangement for seating of public in Sita swayambar, had been made as per groups - high ranking, middle ranking, low ranking and still lower ranking - as per the order of precedence of present time. 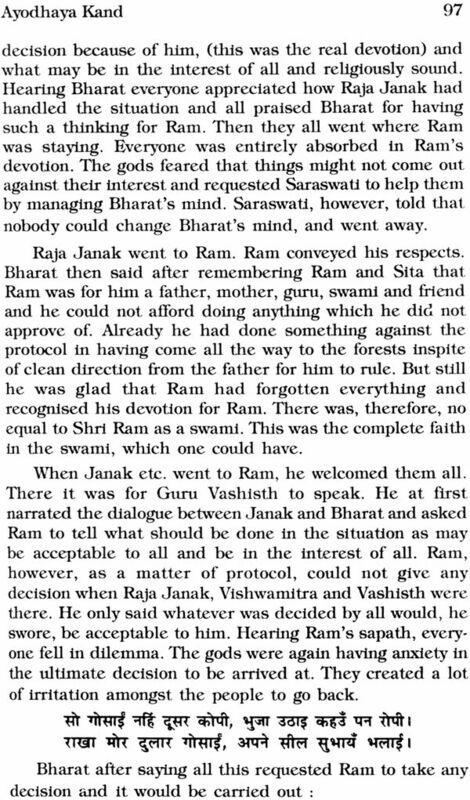 Proper international agreement had been entered between Ram and Sugreev indicating what each had to do. 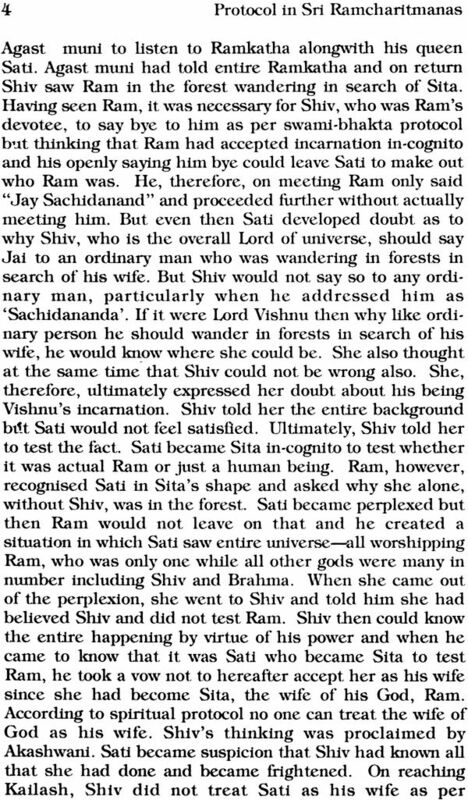 After Ravan had been killed, Ram, rather than immediately calling for Sita, for whose sake war has to be faced, first ordered coronation of Vibheeshan as Lanka could not be left without a government, even a single day and Sita could be brought with the permission of the ruler of Lanka only. 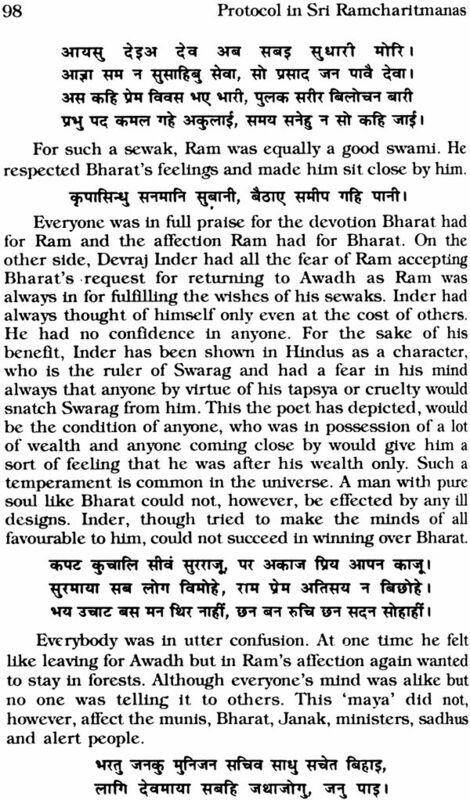 Vernacular words alongwith a glossary have been used for the sake of maintaining flow and consistency in the text. 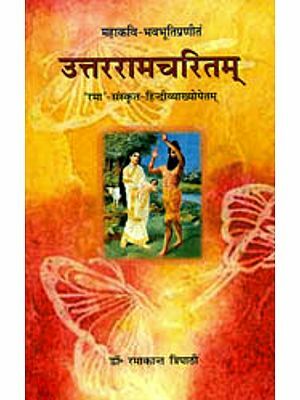 The book will be of interest to the scholars as well as to the general readers. 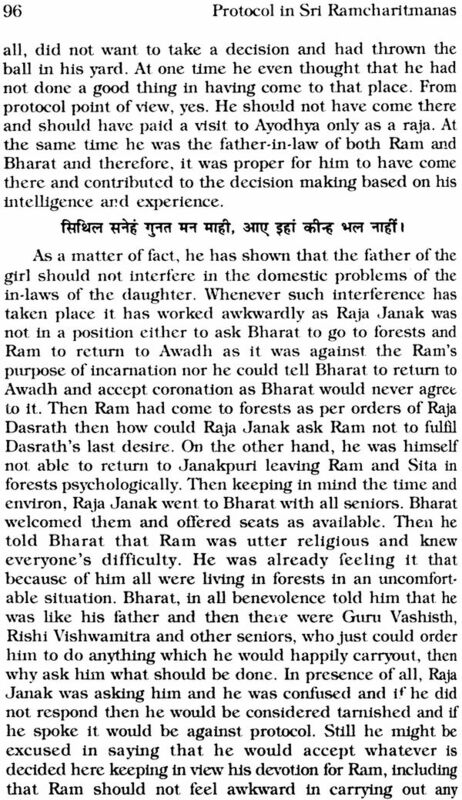 Having Born in 1933, the writer had his schooling in Sonepat (Haryana) and graduation and post graduation from Delhi. He joined Ministry of Railways in 1961 through IAS & Allied Services Examination and retired in 1988 as a Joint Secretary. 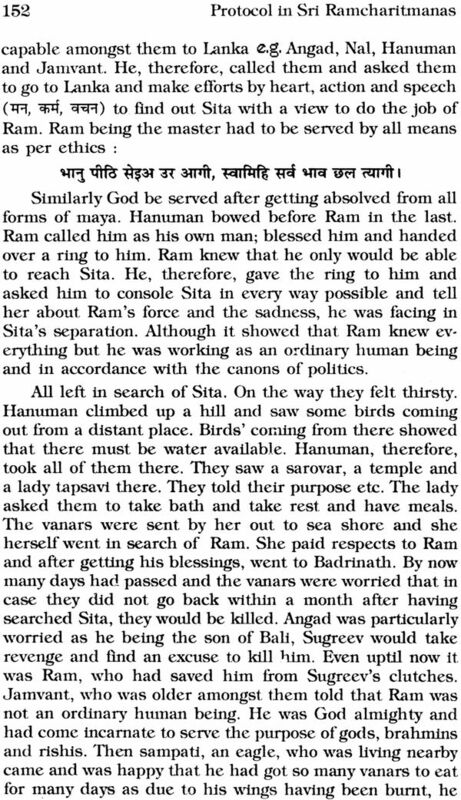 By virtue of his interest in Sri Ramcharitmanas and literature, he got the inspiration of writing something on Manas. 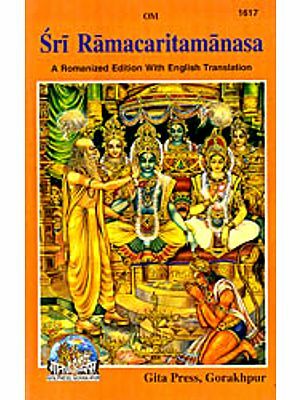 He was struck with the idea of bringing out the extent of existence of modern concept of protocol - social, political, administrative and spiritual - in Ramacharitmanas. and hence this attempt. 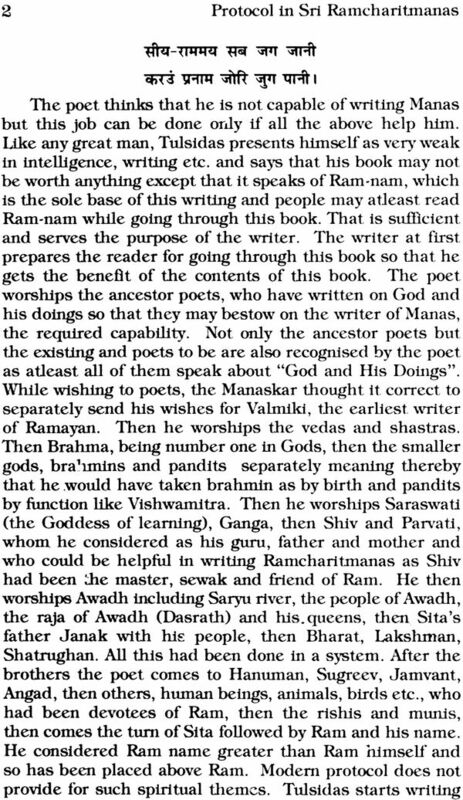 The book 'Protocol in Sri Ramcharitmanas' is entirely based on Ramcharitmanas and is an original thinking of a writer of present day, Shri Devi Dayal Aggarwal.